SoundCloud, SoundCloud, SoundCloud, #LesTwins up to something! Stream #YDKM on our official page, OfficialLesTwins! What does YDKM stand for? 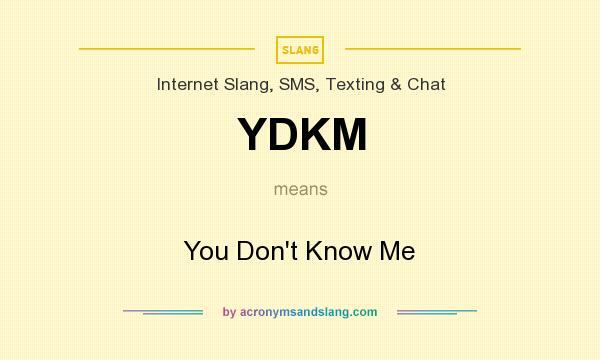 YDKM stands for "You Don't Know Me"
How to abbreviate "You Don't Know Me"? What is the meaning of YDKM abbreviation? The meaning of YDKM abbreviation is "You Don't Know Me"
YDKM as abbreviation means "You Don't Know Me"